It’s time to save big! 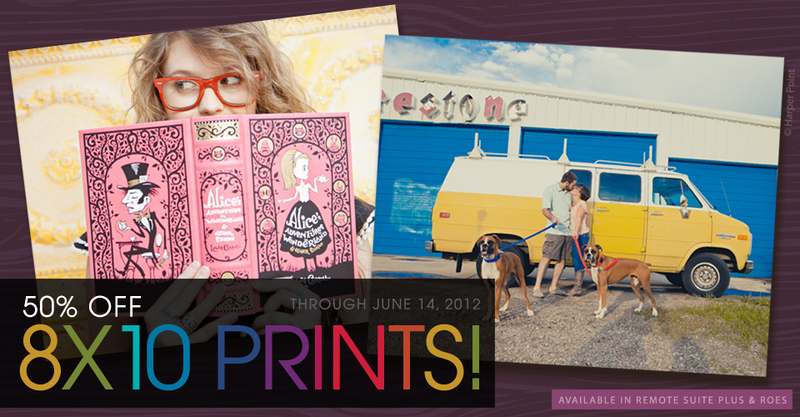 Now through June 14, 2012, 8×10 prints are on sale. Save 50% on all Ambassador and Thrift E-Surface, True Black & White and Metallic 8×10 photographic prints when ordered through Remote Suite PLUS Print Products and ROES. Discount does not apply to any finishing services added to the order. Sale ends at 11:59 p.m. (Central) on June 14, 2012. Q: My order total is less than the $10 minimum charge? What amount will be invoiced? A: Minimum order charges will remain throughout the duration of the sale. Any order total that falls under the minimum charge will be rounded up to $10.